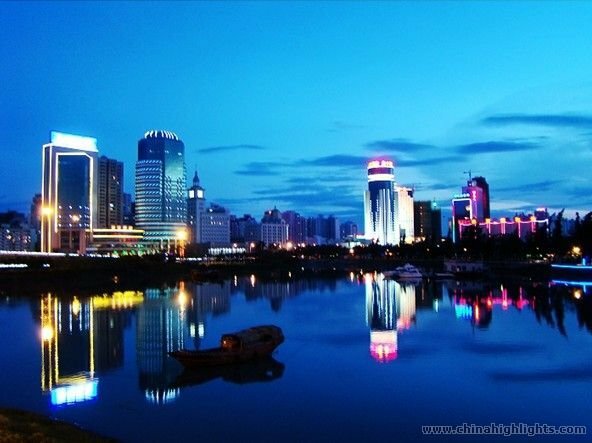 Haikou, known as the 'Coconut City', is the capital of Hainan Province, China's second largest island. The city features beautiful sunshine, crystal water and soft sand. It is the provincial administrative center of Hainan as well being the focus of the local economy, culture and transportation. It stands at the northern end of Hainan Island, on the west bank of the Nandu River estuary. This river is the longest on the island and the city's name appropriately means 'Mouth of the Sea'. With the sea on three sides the city enjoys a long coastline that features excellent bathing beaches and sea side resorts. Holiday Beach is the most popular of these, while Xixiu Beach is where the National sailing and windsurfing teams train and hold competitions. Hainan Meilan Airport, railway station, ship and expressway links cities of China and the whole world. More travel information available here.